LADIES' NIGHT OUT "SIP AND SEW"! Come join us for Stony Brook’s first Ladies’ Night Out “Sip and Sew”! Relax, unwind, have a glass of wine and … sew! You bring the wine; we’ll supply the snacks and the sewing project! 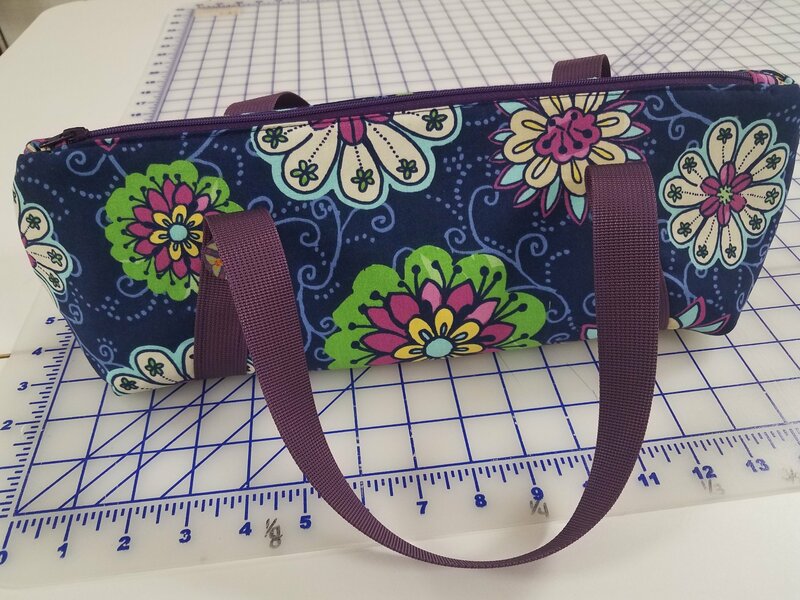 In this class you’ll make a stylish, horizontally-oriented wine tote featuring a zipper closure and straps that wrap around the base of the tote. The bag is a great way to present a bottle of wine as a gift, or an elegant (and discreet) way to carry your bottle of wine to dinner! The proceeds from the sale of the pattern for this project will go to UJAMAA GRANDMAS, a volunteer group of over 500 Canadian-based women that is part of the Grandmothers to Grandmothers Campaign of the Stephen Lewis Foundation. The Foundation works to address the consequences of the HIV/AIDS pandemic upon families and communities in sub-Saharan Africa. Instructor Bio: To say that Nancy Lee is a very talented sewist, crafter and teacher does not even begin to scratch the surface of her talents. Her creations are exquisite and many sell for much more than the cost of her classes! Stony Brook is pleased to feature her work as part of the creative sewing and machine embroidery classes we offer in our store.